Manchester United have an agreement in place to sign Brazil midfielder Fred, with the 25-year-old set to play his football at Old Trafford next season. Now, BBC journalist Simon Stone has confirmed the transfer fee, and it’s surprisingly lower than first thought, at £47million. For a player of Fred’s calibre, the aforementioned price-tag has the potential to be somewhat of a bargain, particularly if he continues to develop and grow as he starts playing with better players week-in-week-out. 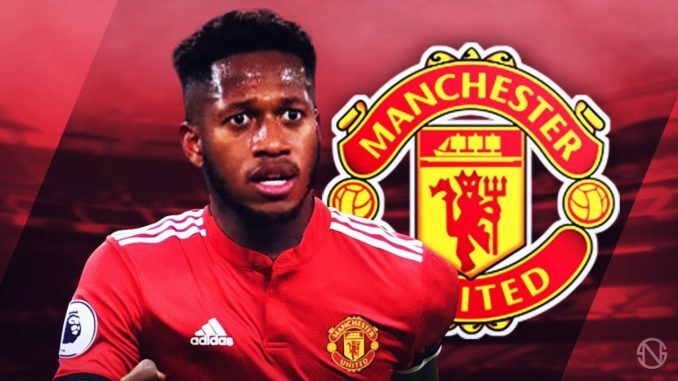 The majority of reports had the fee set at around £52million, but credit to Edward Woodward for negotiating that price down by £5million – which could well be enough to cover Fred’s wages for the first twelve months, although we’re unsure of his salary at this point in time. For now, Fred’s focus will turn towards helping his Brazil side win the World Cup. They’re more than capable of doing exactly that, and what a confidence-booster it would be for the midfielder before moving to the greatest league in the domestic game. I simply cannot wait for him to get started as a Red Devil. Personally, I feel as though he’s the sort of player that we’ve been crying out for, and hopefully, he can hit the ground running when he finally makes his Old Trafford bow in August.